By the time our swimming pool cleaning is complete, you’ll have clear water that is the perfect condition for making a splash or lapping lazily around the pool in Cornelius. You wouldn’t want to jump into a pool that has dirty water. At Cayman Pool & Spa, we believe that having clean, safe water to enjoy during swim season is not only essential to your enjoyment, but also critical for the safety of your swimmers. That’s why we offer swimming pool cleaning services that ensure you have a clean, clear swimming pool all season long. 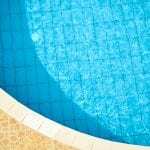 Our swimming pool cleaning services are complemented by expert attention to detail, the addition of the proper chemicals as needed, and using the best equipment to rid your pool liner and pool water of dirt, algae, pollen, and other potentially threatening items. By the time our swimming pool cleaning services are complete, you’ll have clear water that is the perfect condition for making a splash or lapping lazily around the pool in the hot summer sun. If you’ve invested in a swimming pool at your home in Cornelius, North Carolina, you want to make sure you keep it working its best. One of the best ways to do that is to rely on us at Cayman Pool & Spa for swimming pool cleaning and all your other required swimming pool services. We have two convenient store locations in Mooresville and Concord, just a short drive away from Cornelius, so you can easily get the pool supplies you need throughout the year. If you have questions about our swimming pool cleaning service or would like to book an appointment, contact us at Cayman Pool & Spa today. We also offer free swimming pool water testing and can provide opening and closing services to meet your needs. At Cayman Pool & Spa, we offer swimming pool cleaning services in Cornelius, Mooresville, Concord, Davidson, Harrisburg, Huntersville, Kannapolis, Statesville, Troutman, and the Lake Norman area of North Carolina.